- Reflectorless operation from 30cm to 800m. - Fast distance measurement of 0.9s regardless of object. - Bluetooth® Class1 wireless technology for reliable data communications. - Auto Pointing Direct Aiming Technology provides consistent accuracy to 1 arc second. - Ideal for Directional controls for tunnel construction, Internal baseline setup for enclosed spaces. 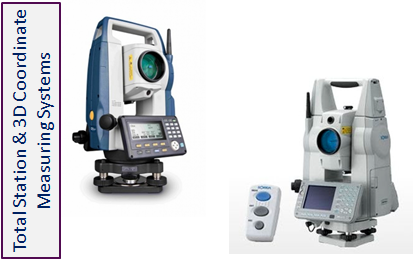 - Dual-axis compensator ensures stable measurements even when setup on uneven terrain. 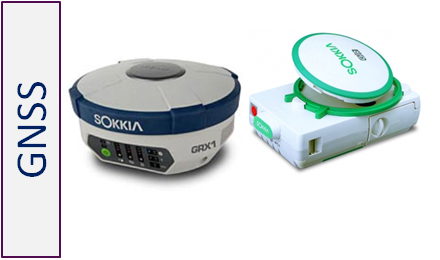 Sokkia GNSS receiver are fully integrated dual constellation receiver, antenna, radio, and optional cellular modem. In addition, the integrated Bluetooth module, now enhanced for better performance, is designed into a rugged magnesium alloy body. 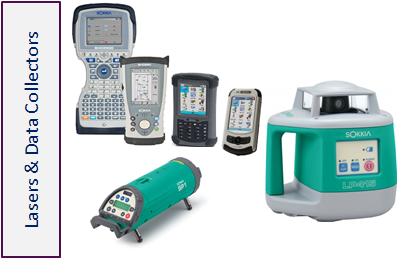 Sokkia has wide range of dependable digital level that combines user-friendly convenience with unprecedented cost performance to achieve the highest precision and productivity in levelling and height measurement applications. Used with Sokkia's unique RAB-Code (RAndom Bi-directional Code) staff, measurement capabilities are greatly improved. 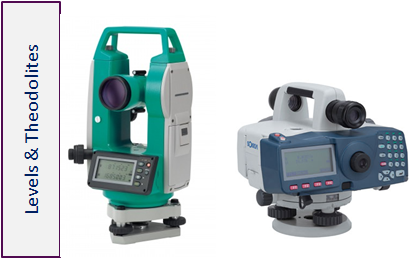 Whereas on the other hand Sokkia DT series theodolites feature superior optics, mechanics, advanced absolute encoder systems, and proven automatic compensators to full-fill all your angle measurement needs. Sokkia has wide range of lasers to be used for levelling, plumbing, alignment and layout, in both interior and exterior applications. Laser provides versatility for slope work at an affordable cost. Compact, lightweight and rugged designed for a variety of applications including slope work, trenching, foundation work, land preparation and short-range interior work. Sokkia advanced wide range of data collectors varies from integrated full alphanumeric keyboard to one touch with a wide array of features in a rugged waterproof body. 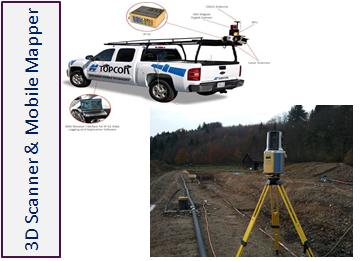 Topcon Mobile Survey System provides fast cost effective, accurate, and comprehensive spatial data collection solution for GIS & digital mapping applications. - Captures Geo-referenced, Time-stamped Point Clouds and Video Imagery. - 3D Profile Scanning of Roadside Features. - All-in-one Solution for Superior Mobility with Built-in 360° Camera for Spherical Image Capture. - Generates 3D CG of Roadside Features. - Overlays 3D CG on Video Image. - High-speed Scan with 30,000 points/second.